You’ve probably heard that we have a book club going on here at the Helen Brown Group. 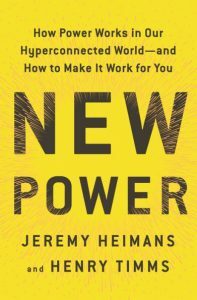 We’ve read some of the most interesting work-related books together – about wealth managers and Giving Pledgers’ philanthropy, and off-shore hiding places – and our conversations have widened to include an ongoing instant message chat where we share related articles from the news and web with each other as well. For me, it’s been great discussing these works with colleagues who share the lens of how they relate to our work in fundraising and philanthropy. I’m tremendously impressed by how their insight has helped me think about our profession in new and deeper ways. The book club has attracted some attention, and a number of people have asked if they can join in our next book. The answer, finally, is yes! 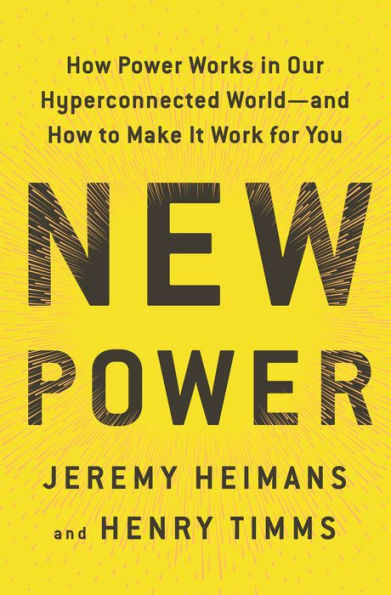 We’re opening up the HBG Book Club to the first 15 intrepid readers who sign up to join in the conversation on our upcoming book, New Power, by Jeremy Heimans and Henry Timms. It’s on the Chronicle of Philanthropy’s summer must-read list, and we’re really excited to get started. Sept 19th Chapter 11-12/final wrap! Registered book club members will be invited to join a weekly 45-minute video chat on Wednesdays at noon Eastern. In between meetings, we’ll also be able to chat via instant message. Think for a moment before you sign up. We’d really like to have all members of the club be able to participate in the weekly chats at least 75% of the time. We understand that life intrudes at the last minute sometimes, but if you think it could be too much of a commitment, maybe let someone else have your spot this time. There will be another book! You can still read along on schedule and join the social media discussion using the hashtag #HBGBookClub. But if you want to commit the time and this book sounds like it’s got your name written all over it, join the party! Sorry, the book club is now at capacity, but you can still join in the conversation by reading along and participating on social media at #HBGBookClub.